Samuel Scheer is a serial entrepreneur, now helping the next generation of startups. At 21, Samuel founded NoTube, a telemedicine startup helping feeding tube dependent children learn to eat, now employing a staff of 20 in Austria. He has since been involved in the founding of numerous companies. In 2014, Samuel moved to Israel while commuting biweekly to Switzerland. In addition to board roles, he works as a mentor at the Innovation & Entrepreneurship lab of ETH Zurich and is an external consultant on strategic topics for Innosuisse, the Swiss Innovation Agency. He earned his BA & MA in Business Management from the University of St. Gallen and is a graduate of Singularity University. Israel is a benchmark for start-up ecosystems worldwide. 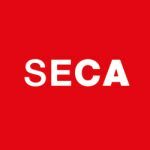 Samuel Scheer’s article focuses on possible learning for Switzerland but also on mutually beneficial collaboration projects. Over the last few months, I have had the opportunity to research the bilateral ties between Switzerland and Israel around innovation, startups and entrepreneurship on behalf of Innosuisse, the Swiss Innovation Agency. identify areas of potential collaboration. Overall, I read dozens of reports and interviewed over 30 distinguished experts. Disclaimer: I specifically looked at what Switzerland can learn from Israel. I did NOT research what Israel can learn from Switzerland, though I am sure that there are many interesting things to consider (such as vocational system, highly innovative industrial sector etc.). Switzerland & Israel both have historically not had natural resources (changed now for Israel since natural gas was found). They have a similar size population. Both have relied heavily on immigration for economic growth. Both have world class educational & scientific institutions. Switzerland has a highly innovative small and medium size enterprises (SME) and “classical” industry sector whereas Israel is severely lagging behind in those areas. Moreover, young university graduates in Israel tend to join high tech firms. As a result, classical industry suffers from a lack of talent and is not considered innovative. In Switzerland, vocational training and a more productive industrial sector provides for the funds and the talent to keep these industries thriving. The ground to increase the collaboration between Switzerland and Israel in high tech is highly fertile. Both Ueli Maurer, federal minister for Finance as well as Johann Schneider-Ammann visited Israel over the last 12 months and signed memorandums of understanding with their respective counterparts. An Innosuisse Israel Meeting was held in June in Berne where a memorandum of understanding was signed and leaders in cyber security met (read more here). Israel’s venture capital scene is about 5x the size of Switzerland’s (5 bio. USD investment/year vs. 1 bio. USD), there are also significantly more mid- and later stage startups. Current bilateral ties: 1. Trade between the countries, mainly in manufactured goods and products, see here. 2. Frequent scientific exchange between researchers at the various institutions. 3. Several stakeholders organise or facilitate delegations, conferences and other networking events to promote partnerships. Switzerland can learn from the social and cultural norms in Israel that encourage individuals to start companies. 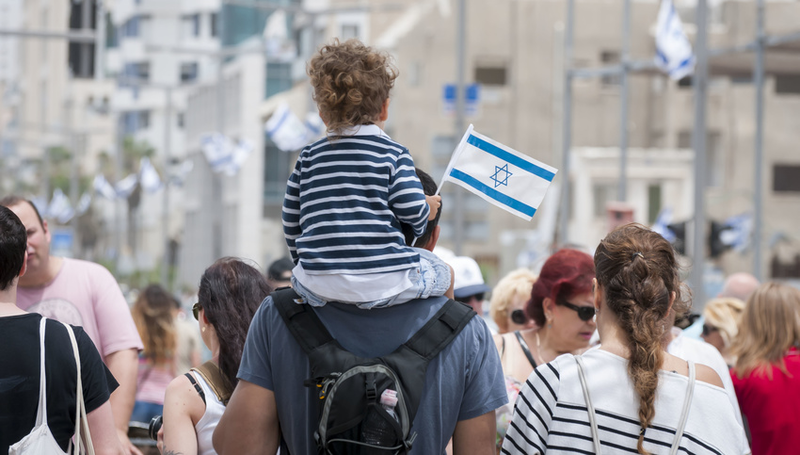 Measured by the Global Entrepreneurship Monitor Expert survey, Israel ranks higher in instilling a culture of individual success and responsibility, autonomy, risk taking and creativity. In almost all other indicators (government policies, R&D transfer, internal market dynamics etc. ), Switzerland ranks higher. According to the IMD Digital competitiveness report, Israel is significantly ahead of Switzerland in digital/technological skills of its population and in IT & media stock market capitalisation. Overall speaking, Switzerland has a more science-based focus when it comes to private and government funding whereas Israeli funding is more open to non-science-based ventures as well. Government innovation funding works differently in the two countries. In Switzerland, government grants are given to researchers at higher education institutions to complete projects in collaboration with private companies. In Israel, those same grants can be directly funding a private entity/startup, something that is normally not possible in Switzerland. The Israeli government and its entities (government owned companies, agencies, ministries etc.) invest funds into startups receiving equity in return. They do so either as direct investments or indirectly by being a limited partner in a Venture capital fund. No such programs exist in Switzerland. Both countries provide ample government grants to early stage companies. Bilateral market education is urgently needed. Branding Switzerland in Israel and vice versa: While other European countries’ governments (UK, Germany, France, Italy, Austria etc.) have invested heavily in branding their country in the Israeli tech community to foster innovation co-operations, Switzerland has been much less active. Israeli B2B Startup entrepreneurs currently do not perceive Switzerland's enterprises as an interesting market, primarily driven by the fact that they know very little about the Swiss market. There is considerable independent bilateral momentum in certain areas due to f.e. a beneficial legal environment (in this case Israeli blockchain companies setting up a presence in Switzerland). However, many areas where the countries would have a lot to offer each other go unnoticed. This is true especially for technologically advanced topics such as the future of manufacturing, cyber security, agritech, digital health, fintech and others where Israeli startups could add major value to Swiss corporates’ and SME services and products. Education & training: Israeli institutions run several programs aimed at getting primary and high school students excited about technology and STEM fields which could be an inspiration for Swiss institutions to follow suit. Applied research funding: Israel has several binational agreements in place with other countries, funding transnational innovation projects. This could be done between Switzerland and Israel as well. Creating a network for researcher – industry exchange: An Israeli professor in the life sciences mentioned that there is currently no organised way or network for research leaders to easily seek industrial collaborators. Particularly in medical & pharmaceutical technologies, both countries are very strong and it could prove to be mutually beneficial. Mapping the Swiss ecosystem: Israel has “mapped” almost its entire innovation ecosystem on the Startup Nation finder platform, financed by the independent non-profit Startup Nation Central. In Switzerland there are currently several stakeholders collecting maps but there is no central database for everyone to search among its players. I sincerely hope that this article was of help to you and would be glad if you shared it or commented with your thoughts and knowledge! Switzerland has natural resources since 1890, in the form of Alpine hydropower plants, which on top are renewable and sustainable!! This explains the historical industrial leadership in the field of electrical power generation and transport, e.g. ABB. Only Norway enjoys a better position in hydropower.